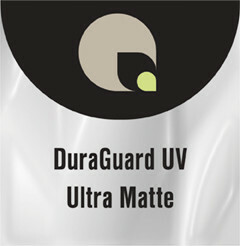 DuraGuard UV Ultra Matte is a heat-set laminating film that adds a non-glare matte finish without sacrificing color definition. This product is the perfect solution for situations where a non-glare finish is required or specific lighting conditions cannot be controlled. Ideal for tradeshow displays and POP displays that may be viewed under direct lighting from a variety of angles.